FINALLY FINALLY FINALLY, I got to interview and write a feature on the extremely talented hat and fascinator designer, Debra Shirley. You all know who she is from my Victorian photoshoot I did last year, my Burlesque shoot I did last year, my recent article on her with my latest hat from her in the, “BLACK VEILED BEAUTY” article, and more. If you haven’t seen all those posts, click on her tag here or type her name into SEARCH here to see all the posts I’ve done on her. Here is my interview that I did with her. I absolutely am in love with Debra and her talent!! 1. How did you get into making these gorgeous hats, fascinators, and head pieces? 1). Princess Diana inspired my love of hats at the age of 10, when I borrowed a book on her from the library. She was so stunningly beautiful in all of the hats that she wore that I’m certain she seared my 10 year old brain into linking beauty with hat wearing. It did not occur to me that I could design hats until I was studying fashion design in my 20’s. Whatever class that I wanted to take during the summer was full and I did not want to remain idle so I ended up taking a Millinery class to keep busy. I quickly became enamored with the art, and the skills involved in creating came oddly natural to me. 2. How long have you been designing your art? 2). 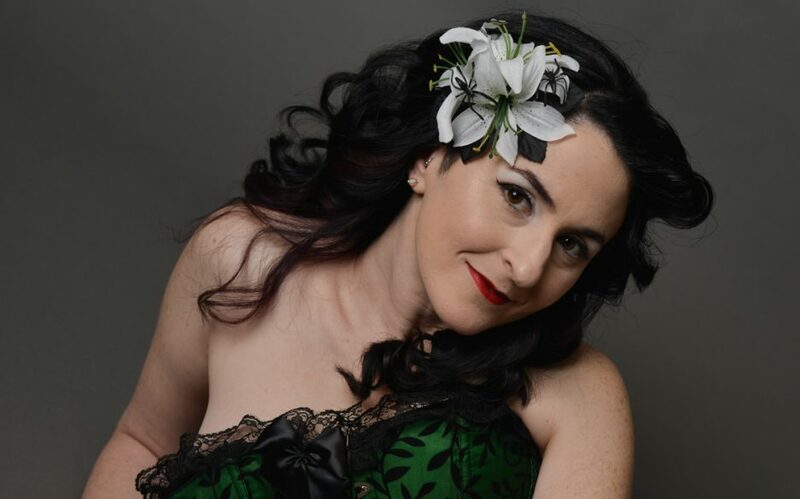 I first studied millinery in the 1990’s, and soon after was able to start a full time job as a Milliner in a high-end Bridal Salon in Chicago, designing wedding veils and headpieces. As can sometimes happen with trying to earn a living, I lost focus on my true passion for hats and playful headwear. It wasn’t until 2014 that I decided to devote time and energy into creating hats and fascinators and getting them out into the world. 3. Did you teach yourself or take a class when you were starting out? 3). Veronica Chin, a very talented Milliner at Burning Bush Millinery was my millinery teacher when I first started out. I took millinery 1, and 2 which is all that the school offered. The school ended up adding a 3rd level class to its curriculum, because of the interest of myself and a few other students at the time. I learned classic techniques such as blocking, pattern making, wiring and embellishing. I took what I learned and expanded as much as I could. Each time you make a new piece you can learn from it. 4. What are your favorite events to create your fascinators and hats for? 4). I love to create hats and fascinators for any event that a woman wants to dress up for and feel fabulous. That could be a day at the horse races, a polo match, a ladies luncheon or even a special photo shoot! 5. What’s your main source of inspiration? 5). Inspiration can strike in various ways. One of my favorite ways to be inspired is to work off of the colors or details in a dress or favorite outfit. I like to pull the concepts out of the print of a garment and bring them to “life” in headwear, as if the hat is an extension of the outfit. Sometimes I am inspired by a separate component or embellishment such as a flower or feather. One piece can get me excited and I start looking for other pieces to go along with it, until the next thing you know, its a finished hat! 6. What’s the best compliment that you have received from a client? 6). The best compliment that I have ever received from a hat client? It doesn’t get any better than “I felt so beautiful wearing your creation” the key word is “felt”. I love when women “feel” beautiful in addition to looking beautiful. Debra and I have developed a great relationship and I’ve probably said this before but I’m so extremely happy that I met her and have become friends with her. I hope to see her soon. I hope you enjoy her beautiful photos to give you an idea of what she can create and make sure to check out all her sites. P.S: Thank you Debra, my talented fellow artist friend! Some of you heard me talk about an upcoming beautiful 1900’s Victorian-esque photoshoot. It’s for a very important photography commission. When getting my outfits and costumes ready, I got all my jewelry and accessories and makeup out but looking at myself I knew that something was still missing from my Victorian look. It was a hat. As an artist, you all know I love unique and handmade pieces so when I saw these beautiful HANDMADE hats and hat fascinators, I knew I had to have them. They are created by the lovely and fabulous Debra Shirley. Her MILLINERY SKILLS or (THAT MAKING SKILLS FOR THOSE OF YOU WHO DON’T KNOW WHAT MILLINERY MEANS) are ABSOLUTELY INCREDIBLE and the pieces she creates are ABSOLUTELY INCREDIBLY FABULOUS! She makes hats and fascinators for all occasions such as the Kentucky Derby, going for afternoon HIGH TEA at a fabulous hotel, and more. I can’t wait to do my two shoots with my new hats and a HUGE SHOUTOUT to Debra Shirley. She is so sweet and will be doing a big feature on her very soon. To see her work on her INSTAGRAM, her profile name is debrashirley1111. I also included two pics of me with one of the hat fascinators that she specifically made for me. I have two from her but I’m not sure if I want to show both sneak peeks yet. I might wait to reveal my other flower hat until I do my shoot in a few days. If you want to really see my other hat, leave it in my comments.